See all of my Valentine's Day picks HERE or shop below using the + sign! I always see the new year as a fresh start, and after some serious back issues right before the holidays, I've realized that getting back into a good work out routine is definitely necessary for my body to be as healthy as it can be. It can be tough this time of year when it's so cold out, but I've found that cute and colorful workout wear can really help brighten up a gloomy January day! I've just started taking hot yoga classes and, though 15 mins into the first class I thought I would never go back, I've been 4 out of 6 days this week if that tells you anything. It really feels good to sweat this time of the year! I also think that having the room so warm keeps your muscles nice and loose and I'm able to stretch more than I ever have been able to. I will say, mat towels like this or this are definitely helpful or else you'll slip and slide all around your mat! When it gets warmer again, I want to start playing tennis again and think this skirt, tank, and matching jacket would be so cute out on the court! I also love this skirt that could go with so many different colored tops or tanks. What are some of your favorite ways to work out? Like many others, we've been trying to start off the new year on a healthy kick after lots of snacks, sweets, and sugary drinks during the holidays. I was also excited to get back into the kitchen after being away from my usual dinnertime routine. 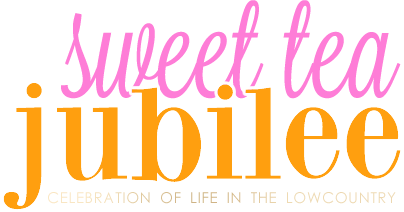 I have learned to love spending time in the kitchen and use it as a release from the day and also as a great creative outlet. The best part about deer hunting season is having a huge freezer of venison for the winter! I've made a few recipes with ground venison before and it's actually one of my favorite kinds of meat- lighter than beef but a little more flavor than just ground turkey. 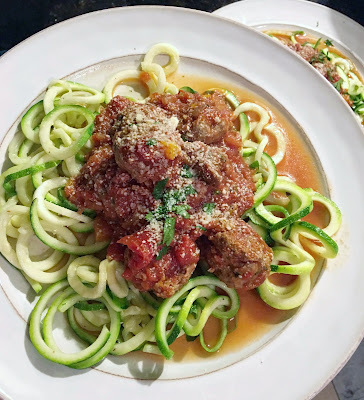 I made these venison meatballs based on this recipe and this recipe using our Dutch oven (hands down my favorite item in our kitchen and one of my favorite wedding gifts!) for the sauce and meatballs. 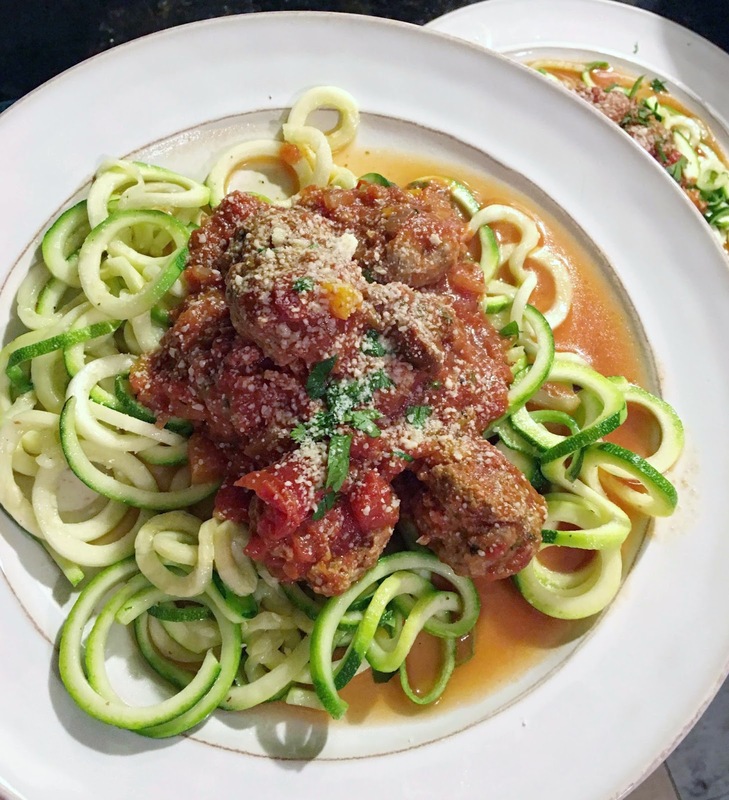 Then I made the zucchini noodles with the spiralizer, which is a great tool to have in the kitchen for easy healthy eating! The trick to zucchini noodles is to make sure not to cook them too much, you don't want them to be mushy! I often will throw them in the Dutch oven on top of whatever sauce/veggies/meat I have in there to let them steam a little. For this dinner though I sautéed them with olive oil in a separate pan for just a couple minutes- I think mostly because I just wanted them to still look nice and green for the picture. These meatballs turned out so good- I highly recommend trying this with your ground venison. We liked them so much that we had the above for dinner Monday night, meatball subs Tuesday night, and regular spaghetti with the meatballs tonight! Along with a freezer full of deer meat, we also have a ton of shrimp leftover from this summer. Definitely something I'm not complaining about! ;) We had been craving sushi, so when I found this recipe for a spicy shrimp stack- it seemed like the perfect thing to make! I used this recipe from Skinnytaste, though I didn't have all the fancy things on top that she used. I will say, I was hoping this would have a little more flavor. I think next time I will season the shrimp a little bit or maybe just use more soy sauce. It was actually pretty simple to make and looked so cool when you flipped the cup over! There are so many great recipes for chicken chili but this has been one of my favorites lately because it is SO easy and SO good- always. So thankful for my Crock-Pot (another favorite kitchen item!) that I can program and come back hours later with dinner all ready. The only thing you have to do with recipe is just shred the chicken after it's cooked for a few hours. 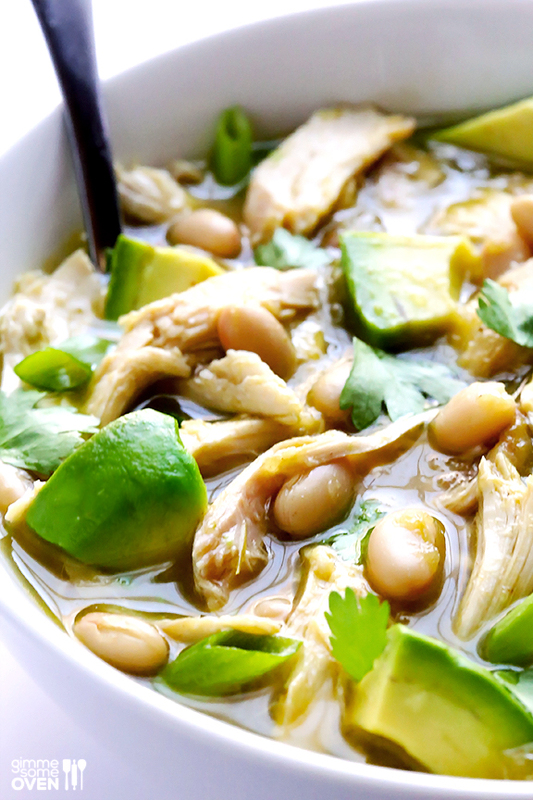 Also, I highly recommend serving with lots of avocado- because avocado makes everything delicious! Oh and this recipe is great for leftovers too (as you may have seen here) which is definitely another added bonus! I created this salad Monday night while getting ready for the National Championship game. I had originally wanted to make some kind of dessert of some sort that was purple and orange but, being on the health kick that we've been on, I decided a salad was more appropriate. It was so easy to throw together and actually turned out pretty good! All you need is: purple cabbage, orange bell peppers, shredded carrots, 1 Tbsp of Thai peanut sauce, 1/2 Tbsp sesame oil, 1/2 Tbsp olive oil. 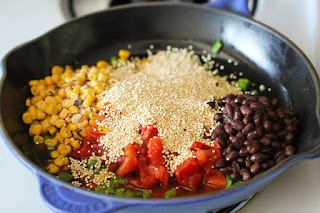 Just mix together the last three ingredients for the dressing and toss! Another recipe I haven't made lately but love is this One Pot Mexican Quinoa because it's easy, healthy, and so delicious! Psst... Lilly Sale is Still Happening! 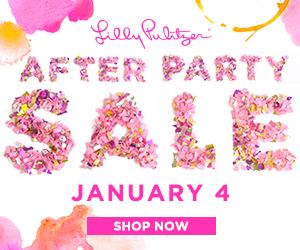 Lilly Pulitzer Online Sale - Today Only! The Lilly Pulitzer online sale is here!!! See my tips and tricks for shopping from my post yesterday HERE but while I wait in the virtual line to shop, I've found some sale items from other retailers that you can shop right now! *I'll do my best to update this throughout the day so check back! Lilly Online Sale - Tips and Tricks! It's that time of the year again!! 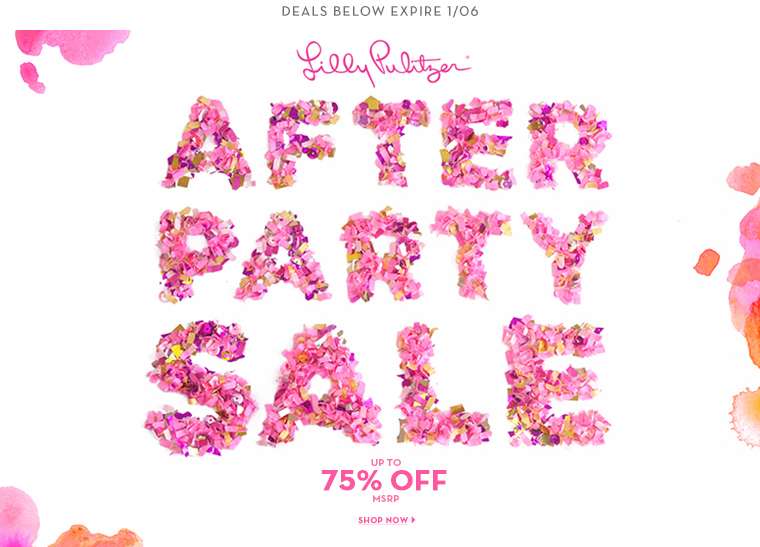 The Lilly Pulizer online sale is back and starts tomorrow morning! This year the sale only lasts one day so you'll have to be quick with your shopping! I always love shopping these online sales because you can get some great deals on items from previous seasons but there are definitely some certain tips and tricks to follow if this is your first time shopping the sale! 1) Be sure tonight or tomorrow morning before the sale starts to create an account and make sure all of your information has been updated (credit card number, shipping address, etc) so you'll be all ready to go in the morning. 2) After you've created an account, or have logged into your existing one, fill out your information in their TrueFit section so you won't have to worry so much about sizing. All items are final sale so it's important to know what size. If in doubt, I always suggest going up because you can always get something taken in! For reference, I'm usually a 4/6 and in Lilly I typically wear a 4 and usually S, sometimes M in more fitted items. I've noticed that their Luxletic line runs small so I would suggest going up a size in any of that! 3) The sale starts at 8am EST and when you get to the website, you will be placed in a virtual line. The line goes pretty quickly but DO NOT refresh or open new tabs in the same browser you'll be placed at the back of the line! 4) You can shop from multiple devices so while you've in line on your laptop, you can hop on your phone and try to shop through their app! That was where I had the best luck during the last sale! 5) Once you're in the sale be sure to shop quickly and (since shipping is free) check out often! When items are put into your cart they aren't guaranteed until the whole order is placed so if you find what you've been looking for, don't hesitate to pull the trigger early because you can always come back for more! 6) Items included in the sale will likely be from the last delivery of summer, fall, and possibly some items from early resort. If there was any specific from those seasons you were looking for (for example, I loved the Rossmore T-shirt Dress and would love another one!) you can utilize the search bar at the top right of the website! 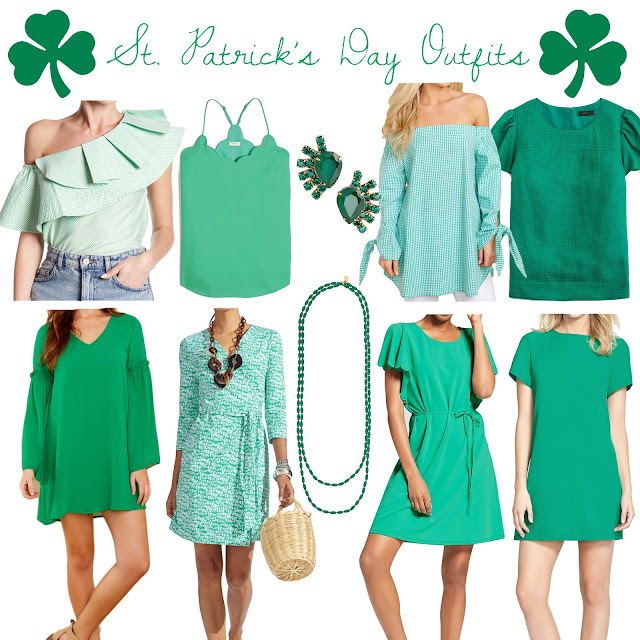 7) Because this is such a big sale, items go pretty quickly on the website but I do remember last year finding that other online retailers were price matching so check out the Lilly selection at Nordstrom, Saks, and even Amazon! 8) Last but not least, check out the selection at your local signature or corporate store! I know the Palm Avenue stores (there's a great one here on Broughton Street in Savannah and King Street in Charleston) is price matching so I'm hoping to check out their sale section tomorrow too! Still have more questions? You can check out the sale FAQ section on the website with any other questions you may have about the sale!